Duffus Village Hall was rebuilt in 1999 with the assistance of Lottery Funding following a fire which destroyed the original building, which was a Nissan hut. The hall has great facilities which include a spacious foyer, a large hall with a veranda to the playing fields and a separate bar area with hatch. The lesser hall is currently home to the nursery, and there is also a smaller meeting room. We have a fully functioning kitchen with four gas burner cooker and double oven, two full size upright fridges, an urn, double sink and plenty quantities of crockery, cutlery and glassware. There is a disabled toilet with baby changing as well as male and female toilets each with showers. Additional available equipment includes tables (small and large) as well as padded and plastic chairs. There is also a stage which can be easily erected and placed where required. There is ample parking in the hall car park. To the south of the hall is a raised planted garden and to the east are woods for exploring. There is a full size football pitch and goals within the park itself, as well as a very well appointed children’s play area with swings, flying fox, chute and climbing frames. 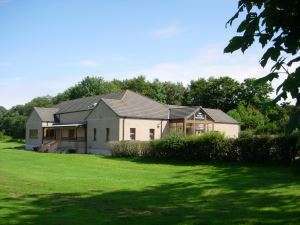 Duffus Village Hall can be hired for all family occasions, weddings and parties as well as sporting groups and one off events. All local hires (Duffus) will be charged at a 10 % discount on the above prices. ceilidhs, dances, Burns Suppers, fundraising events, sporting events and sports/exercise classes, crafting and meetings big and small!